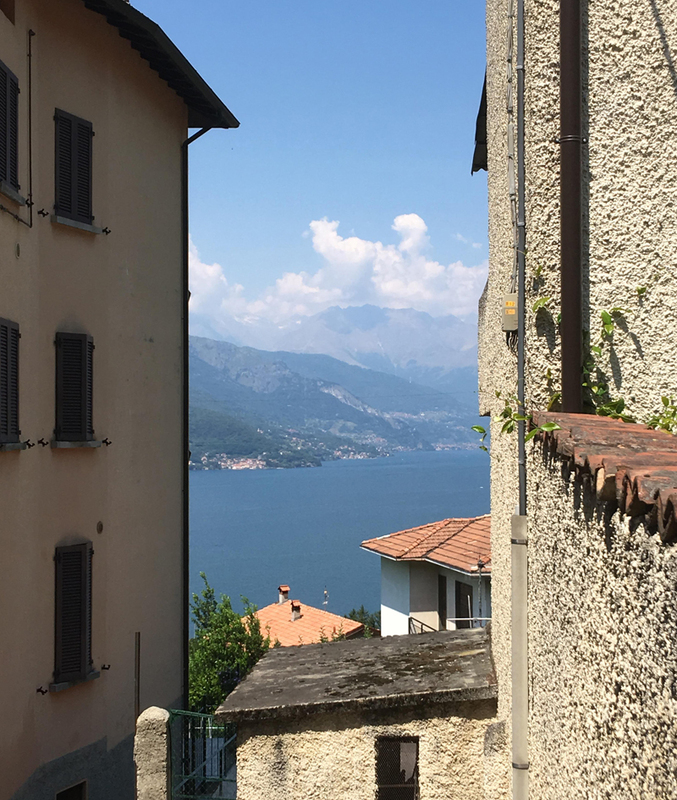 If you’re lucky enough to find yourself in the lovely Lombardy region of Italy looking for something fabulous to do – this post’s for you. It’s all about breaking the rules and cooking from the heart, to produce THE most delicious Italian dishes. And having a fab time all the while. Avanti, Chef Moreno of Ristorante Il Caminetto, Gittana. 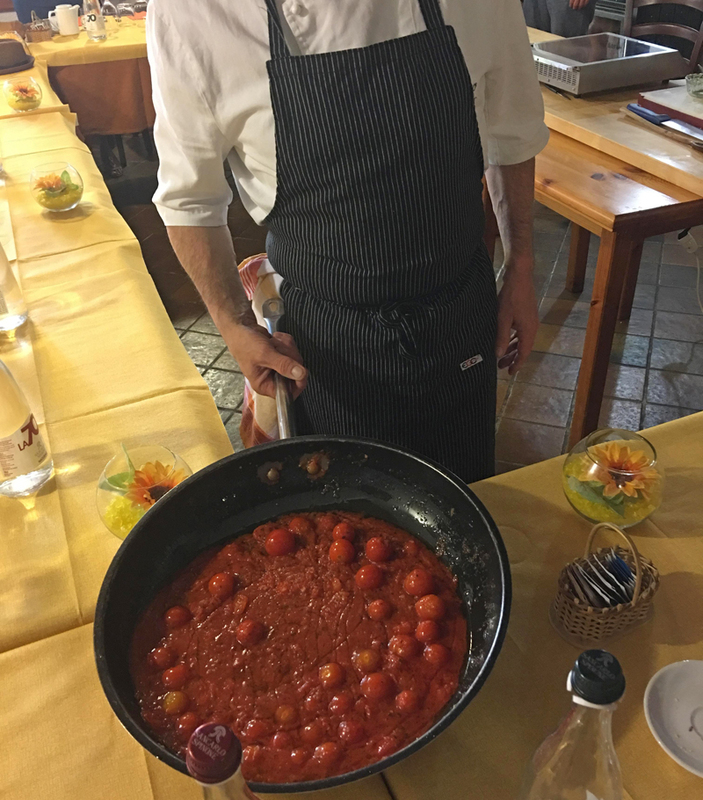 The day started with Chef displaying his driving prowess as he worked the seriously steep winding roads from Varenna ferry port to the the tiny mountainside village with a van-load of hungry passengers. We were a group of 14 people, aged from around 7 to 70. 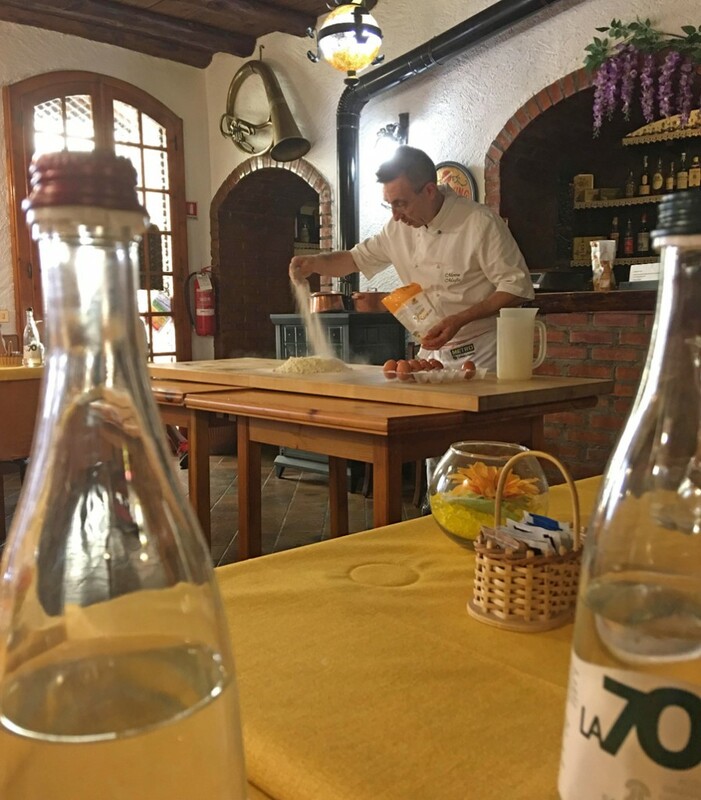 Our arrival was followed by warm welcomes, tea, coffee, biccies, and then straight into the pasta making process – pasta dough which was eventually turned into plump cappilletti (little hats) filled with ricotta and freshly picked herbs. The other dishes Chef cooked for us were saffron risotto and turkey breast with ratatouille. We helped with the preparation at times, watched and learned at others, chatted, drank vino and limoncino, and ate a lot of REALLY good Italian food.